Traxxas is ratcheting up the level of detail in their TRX-4 Ford Bronco with a new LED lighting kit. Featuring everything you need to illuminate the trail, this lighting kit is an easy way to add a new level of detail to this popular R/C scaler. Included in the TRX-4 Ford Bronco Light Kit (#8035) are LEDs, a power module, headlight and front turn signal lenses, zip ties, and mounting hardware. Based on the photos of this kit, the installation process should be straightforward and shouldn’t require much modification of the stock Bronco body. 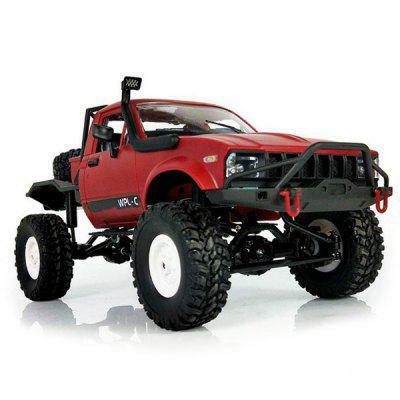 If you already have a Traxxas LED set that includes a power module, they are releasing a module-less version of the TRX-4 Ford Bronco light kit (#8036) at a lower price. For a totally light up rig, you can add the Traxxas Rock Light Kit (#8026) to illuminate the path from all angles. Visit traxxas.com for complete details on all of these LED lighting options.